Anna-Maria started dancing as a child – ballet, figure skating, tap, … Since then, she is an enthusiastic dancer, open for all kinds of dances. After her studies of literature and training as Yoga teacher, she followed her passion for swing dance and soon became a dance instructor, teaching Balboa, Lindy Hop and Authentic Jazz now since 2012. 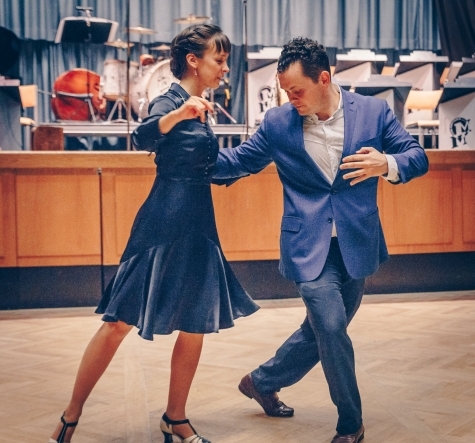 In 2014 she started her own dance business « Swing Dance Leipzig » teaching with her husband and dance partner Ralf. As a well known successful competitor, she started teaching on international workshops in 2016. In her classes, she attaches great importance to the basics, technicality and provides inspiration for followers.